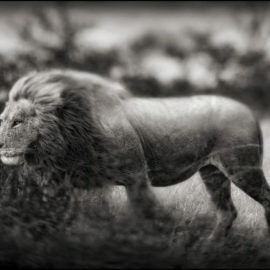 Big Life Foundation was co-founded by photographer Nick Brandt and award-winning conservationist Richard Bonham in September 2010. Since its inception, Big Life has expanded to employ hundreds of local Maasai rangers—with more than 40 permanent outposts and tent-based field units, 13 vehicles, tracker dogs, and aerial surveillance—protecting 2 million acres of wilderness in the Amboseli-Tsavo-Kilimanjaro ecosystem of East Africa. 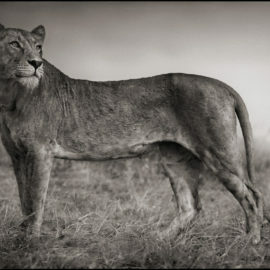 Images courtesy of Nick Brandt. For coverage on his latest project, Dust to dust: animals lost in an African apocalypse – in pictures. 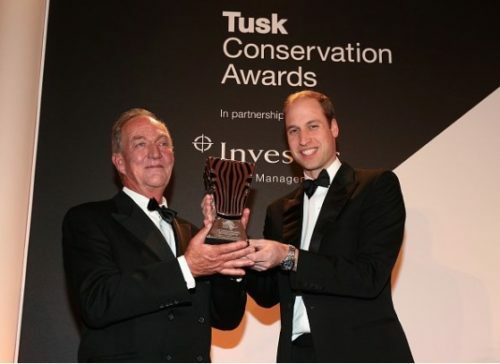 We are very proud to announce that on November 26 in London, Big Life’s co-founder and Director of Operations in Africa, Richard Bonham, was awarded The Prince William Award for Conservation in Africa at the Tusk Conservation Awards. This lifetime achievement award recognises outstanding dedication and exceptional contributions to conservation in Africa. “This year’s Tusk Conservation Awards are, for me, an opportunity to recognise and to highlight some of the remarkable – and courageous – conservation work being undertaken across Africa. “Your Royal Highness, Lords, Ladies and Gentlemen. There are no words to express the sense of pride and honour I feel to have received this award. Thank you. Ours is the generation that has watched and been responsible for the loss of 40% of the planets species in the past 40 years. I can identify with this personally; my first wildlife memory, at the age of 5, whilst hanging on to my game warden fathers shorts was watching him shoot, what at that time was considered, vermin, because of their great volume…it was a Black Rhino. My wife’s grandfather, also a colonial game warden of that era, was given the task to shoot 1000 Rhino in one small area. That was only 60 years ago and based on instructions given by the Colonial Government to clear land for settlement. Today a large part of my life is spent protecting the last 8 remaining Rhino from this very same population. We are constantly swamped with statistics. One of the latest being that 100,000 Elephants have been massacred for their tusks in the last 3 years. For most of us these are but passing numbers and soon forgotten, but I have been an eyewitness to this awful massacre. I have watched Elephants in the Selous game reserve in Tanzania drop from over 100,000 animals to probably less than 10,000, and that number is still falling. To place this in context, a one-hour drift down the Rufiji river three years ago I was seeing up to 6 different herds coming down to drink. 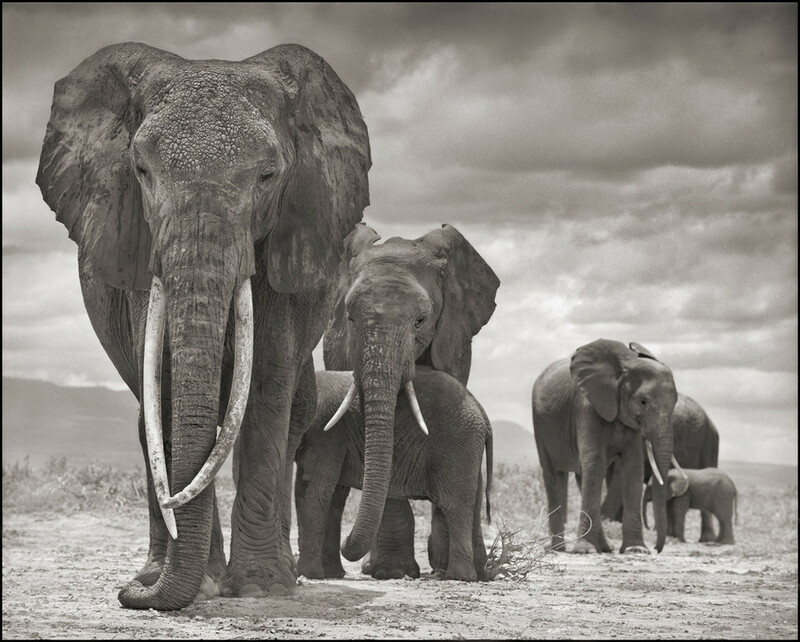 Now I see none — they’ve gone, back to dust and into the African soil, with their ivory shipped off to distant lands. There is a silence on that river that will take decades to return — if at all. Despite history and statistics, I am upbeat for conservation in our generation; it’s not all bad news, it’s not too late! In my own personal little world of Amboseli we are seeing Elephants on the increase and Lions, that 15 years ago where on the verge of local extinction, now increased by 300%. But probably more importantly we are seeing communities setting aside land for conservancies and wildlife. The communities who live with these wild animals, spurred on by a new awareness and economic incentives made available through conservation. They now own and drive the process; They fight for conservation not against it. The second is the support of the Kenya Government and the Kenya Wildlife Service. Specifically their recognition of the role communities play and private sector partnerships. The third is the extraordinary generosity and passion of organizations like Tusk. It is their leadership that enables the people in this room and like-minded people across the globe to work together, putting their lives, energy and money towards innovative conservation that makes our work possible. For this I thank you. The fourth is the commitment of the community rangers who have undertaken their jobs with such passion and pride. One of our sergeants said to me the other day when we found a new Elephant carcass with its face hacked away. ‘When I started this job I was just doing it for the money. Now when I see this, I get angry…very angry. Those of us on the front line, sometimes feel we are applying band aids to a hemorrhaging wound and just delaying the inevitable. We have little chance of long term success without working with International Governments to curb the demand for more land for commercial use and wildlife products like ivory and rhino horn. But again I see good news here as well. A good example is the momentum that is growing behind the Elephant Protection Initiative catalyzed by Tusk. This was launched in February this year by 5 African countries with the support of Her Majesty’s Government, The Prince of Wales and the Duke of Cambridge to bring African Range States together on their approach to curbing the Illegal Wildlife Trade. This is the front that will ultimately dictate success or failure as the solution lies outside Africa, amongst the countries that drive the trade. Hong Kong is a prime example. I have just returned from there where I saw ivory shops with huge stocks that, despite the import ban since 1989, are not dwindling. Yet the government has chosen not to recognize or address the lack of transparency or legitimacy of their trade. 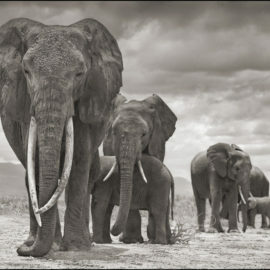 The experience of seeing the end destination of ivory was important to me, it completed the circle from seeing elephant herds, stampeding in terror at the scent of man, from seeing the blood soaked soil around lifeless carcasses to whimsical trinkets in glass display cases. Sadly, it seems that 90% of the people buying these ornaments have no idea of the blood trail that follows them to the shops, they must be educated and made to care. Whilst the governments which sanction it must be held accountable. It would be wrong to take this award home without acknowledging some key people who made this award possible. 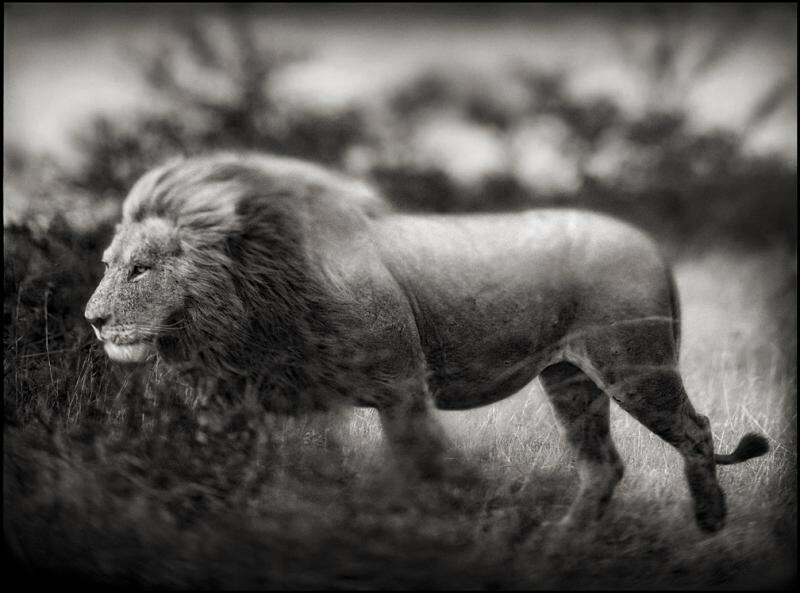 Particularly Nick Brandt and Tom Hill, without you there would be no Big Life Foundation… thank you. Also, My wife Tara, who has said that I show more attention to a snared wildebeest than her! 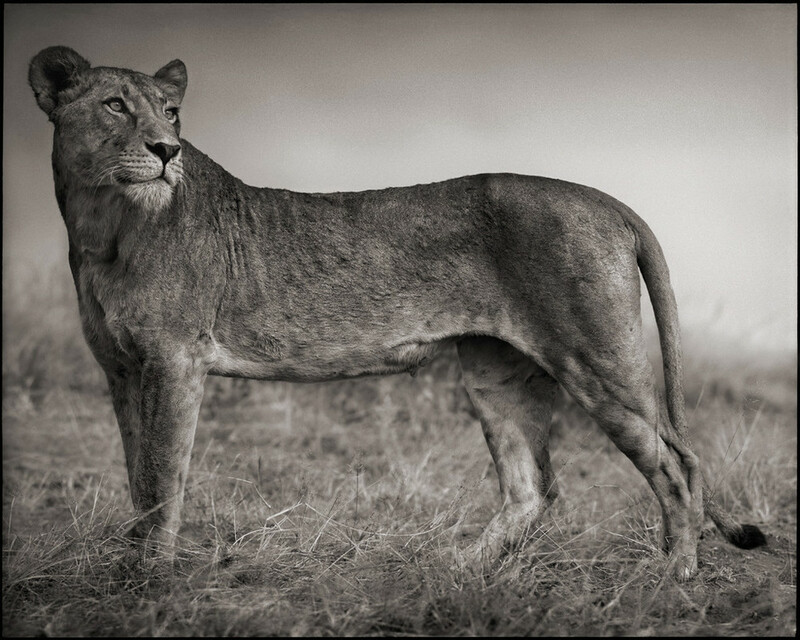 She is no competition to a gang of poachers or a snared Rhino. Tara, thank you for your patience and support. Finally I would like to say that I take this award back to Kenya. They are truly the people who have earned it, whilst I have only indulged in my passion for wildlife and the wilderness. – Richard Bonham, November 26 2014, London. Big Life Foundation in Africa, through a collaborative effort on all levels, from local community to the international community, works toward the conservation and protection of endangered wildlife. They are on the forefront of a remarkable effort. We here at Bike & Saddle applaud them. And through The EcoMiles Program we now offer our guests and the public at large, the opportunity to support this great initiative.